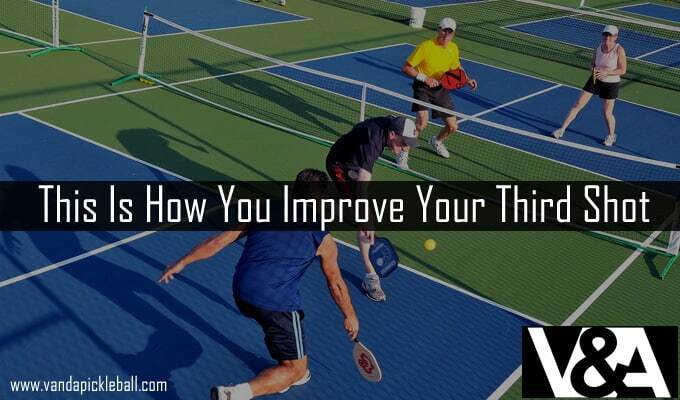 If you are no stranger to the world of Pickleball, then you have likely heard about people talking about why the third shot is so important. This is due to many reasons, and we’re going to be looking at all of them. It isn’t that the first 2 shots aren’t important, it’s just that the third shot is most important. Why? And what are the advantages? How do you improve your third shot? These are the questions that we want to answer. So, let’s get right to it then. 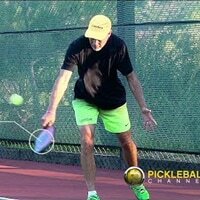 What Is a Third Shot in Pickleball? The first shot is the serve, which starts the game off. The second shot is the shot that the opposition team returns. And the third shot is where your team can get from the baseline to the no-volley line, and is also known as the transition shot. It is important because it allows the team to slow the ball down somewhat and get them closer to the net so that the game can take place at the net. If it is done right, then it can set the game in your favor, but if done wrong then it can have negative impacts on your game. How to play the Third Shot? First, we need to look at how you hold the paddle. The universal grip is the continental grip that is used by many professional players. This is where the “V” of your hand goes to the left side of the racket handle. 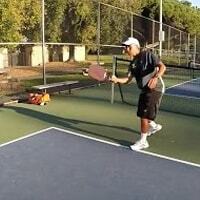 This allows your paddle face to be open on a back or forehand swing. You want your shot to lift the ball up. Next, we’re going to look at how you do it. You don’t want to try and hit the ball too hard. What you want is short swings, and you want to hit the ball up. The ideal situation is for the ball the start descending on the opponent’s side of the court, forcing them to have to hit the ball up. Even if you hit the most amazing third ball in the world, there is still a chance that you won’t be able to make the full transition to the kitchen line. You might have to hit the ball a few times before completing the transition. Think about trying to make small, split stops on your way into the transition. This helps you to keep focused, and instead of feeling rushed, you will be calm and will make fewer mistakes. It will also be a lot easier to control the movement of the ball, instead of trying to make on long transition, split them up, it really isn’t that hard. Don’t think that you can try to master the third shot while playing in a competition. It is not as simple as it sounds and it may take you a few tries to get it right. But don’t beat yourself up, you will master the third shot. Different Pickleball Serves and You !